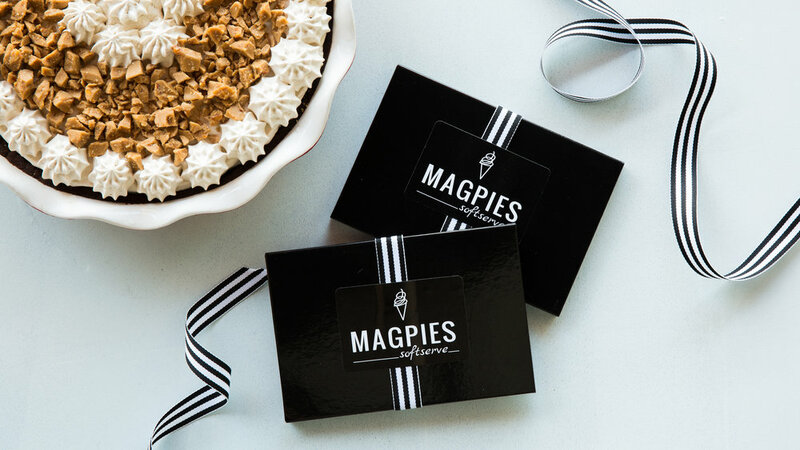 Magpies Softserve is a scratch recipe soft serve dessert shop. We make our soft serve mix and all toppings in house. We wanted to expand the flavors of typical soft serve ice cream from the traditional vanilla and chocolate by creating flavors of soft serve that bring us back to our childhood, flavors that inspired us to become chefs. We love ice cream. Opening a dessert shop has always been a dream of ours. This idea came to us while we were on a family vacation in Palm Desert, when for nostalgia sake, we decided to go into a Dairy Queen. As we were licking our cone, we came up with the idea at the same time. “Let’s do a chef-y Dairy Queen” and the idea was born. We would have all-scratch soft serve recipes with life inspired flavors and we would make all toppings in-house. We would create flavors that we grew up with and represent us. Rose is Korean American, born and raised in South Florida, and Warren is a true Valley Californian. Between the two of us, we came up with flavors that can really tell a story. From a Horchata (non dairy), to a Cortadito, a sweetened Cuban espresso to Yuzu Honey, a traditional Korean tea that is unique to the American palate. We had a lot of fun creating flavors that are authentic to us. "Our favorite spots across the country are taking the soft-serve you know and love and turning the volume up to 11." "...Consider this chef-driven soft serve. Unlike other places that offer artisanal soft serve around town, the Schwartzs aren't using a premade base, and they'll have more than one or two flavors." 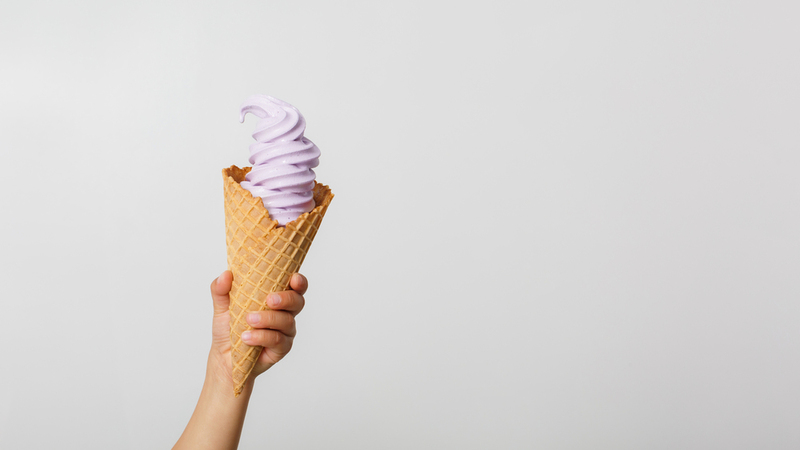 "The 5 Ultimate American Soft-Serve Spots to Hit Up This Summer"
"Why you'll probably want to head to Silver Lake for soft serve, even in the rain...The corn almond is also a shining example of the couple’s scientific approach to creating flavors." "This Fancy Silver Lake Soft Serve Is the Dessert of the Summer...Magpies is planting the seeds of a machine-dispensed dessert revolution"
"The Ice Cream You’re Looking For... Warren Schwartz Is Handmaking You Soft-Serve in Silver Lake"
"Chefs Warren and Rose Scwartz make everything from scratch, including the ice cream base." "...Instead of relying on powders and mixes, Schwartz and his team will be crafting true soft serve from scratch, and making the ingredients in house as well." "Artisanal soft serve ice cream finds its sweet spot... One flavor in particular was a surprise success — corn almond."